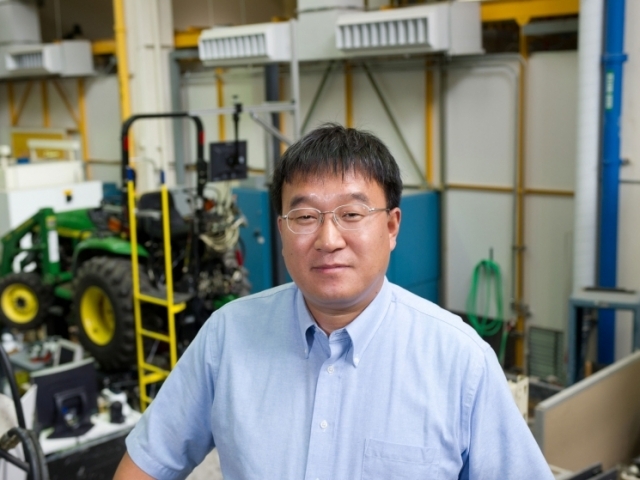 Jan Shi combines his training in both mechanical and electrical engineering to integrate system data, comprised of design, manufacturing, automation, and performance information, into models that seek to reduce process variability. Anchored on the effective and seamless integration of physical and analytical models with empirical, data-driven methodologies, System Informatics and Control (SIAC) aims to provide a new scientific base for the design, analysis, and control of complex manufacturing and service systems. The SIAC group at ISyE brings together researchers with diverse backgrounds related to manufacturing and service systems, quality and reliability engineering, diagnostics and prognostics, industrial statistics and data mining, and automation and control. The group shares a common interest in the development of quantitative models unified with data analytics and (engineering) knowledge integration capabilities, and the employment of these models in analysis and improvement of complex manufacturing and service systems. The SIAC group conducts research in various application areas including manufacturing systems analysis, quality and reliability improvement, health care and medical decision-making, energy generating systems, and business analytics. Design and analysis of physical and computer experiments. Supervisory control for automated manufacturing. Variation reduction in multistage manufacturing systems. A sampling of external collaborators. 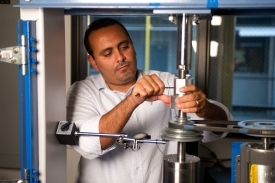 To avoid both expensive downtime and unnecessary maintenance costs, Nagi Gebraeel conducts research in the area of detecting and preventing failure in engineering systems as they degrade over time.